Public permission given by the mod author to modify and reuse his work. 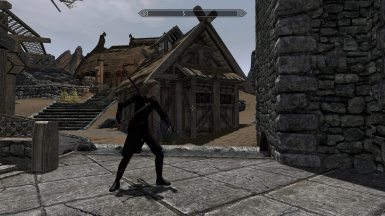 This mod will let you show your favourited weapons on your character. No more bows appearing out of nowhere! 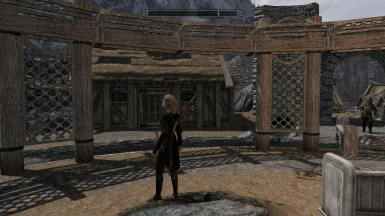 This mod is copied from Visible Favorited Gear by SkyPainCake for Skyrim SE. No changes have been made to the mod as it works perfectly as-is- I'm simply making it easily available for people who don't use SE. 1. 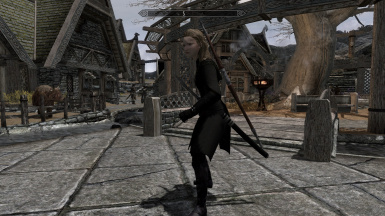 Install with the mod manager or extract archive into the Skyrim Data folder and enable mod. 2. Use the configuration spell from the powers menu to turn visible gear on. 3. After you add/remove weapons to/from favourites menu, switch between some weapons once to make gear visible. 4. Every time you add something new/remove from favourites menu, gear will become invisible until you switch weapons. The mod author has given permission to modify this mod here so if you want to develop this version further please let me know and I will hand it over to you.